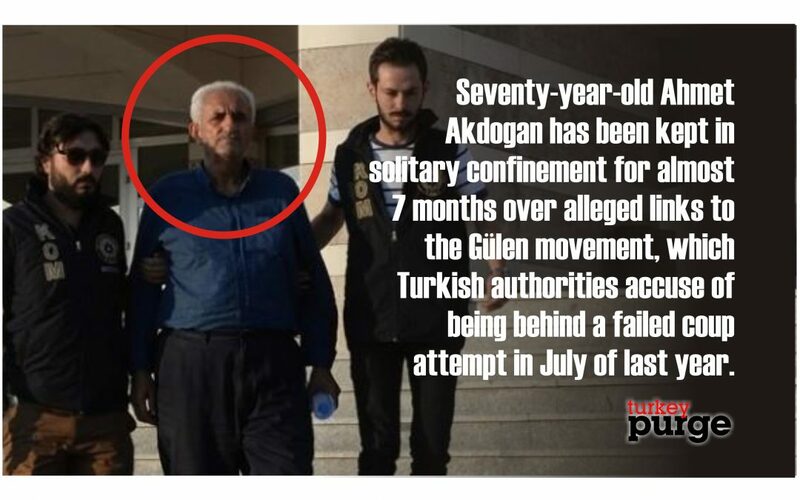 Seventy-year-old Ahmet Akdoğan has been kept in solitary confinement for almost seven months over alleged links to the Gülen movement, which Turkish authorities accuse of being behind a failed coup attempt in July of last year. According to the Aktif Haber news website, Akdoğan was arrested by an Uşak court after the failed coup and was sent to a prison in İzmir’s Ödemiş district. Since then he has been kept in solitary confinement, where he has suffered several heart spasms. The movement denies any involvement. However, the Turkish gov’t initiated a widespread purge aimed at cleansing sympathizers of the movement from within state institutions, dehumanizing its popular figures and putting them in custody.